FOB Architecture Ltd - Architectural Services based in Kingsley, Cheshire. 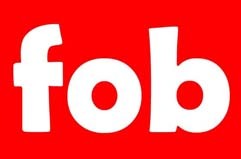 FOB Architecture Ltd is a multi-skilled, RIBA Chartered Architects & Project Management Practice, based in Cheshire. We work across most sectors of the built environment from residential, retail, leisure, to commercial, industrial and logistics, providing imaginative solutions that aim to optimize the potential of every project. FOB Architecture will provide the design, delivery and management for a range of consulting services to suit each requirement, working directly with the stakeholders or as part of the design team. An agile approach, enables us to add value to projects ranging from small-scale to multi-million pound developments. Please get in touch to learn more about how we can make a difference to you or your business.